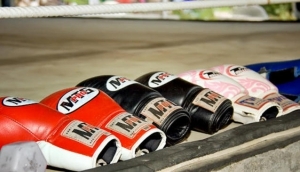 Koh Samui has many great training facilities, with some of the best local, national, and international trainers and fighters basing themselves here, to train, fight and teach. There are also daily pro fights held at major stadiums in Chaweng. Thai Boxing or as it is known in Thailand, Muay Thai, is the county's national sport. Known as the 'Sport of Kings', the 'World's most devasting martial art' was born as a hand to hand combat battle technique, developed in order to kill the enemy in close range battles. It is a sport steeped in Thai culture, science and tradition, that is now practiced world wide. It is also one of the main disciplines of Mixed Martial Arts competions. Here on Samui, everyone is welcome to come and learn, not matter what age, gender, or level of experience. For those who are more serious or advanced, there are some renowned training camps and training facilties to pursue advancement or train for a fight. For those that would prefer a night out watching matches, every night of the week you can catch the live action at one the main stadiums while enjoying a beer or cocktail.